Recently I’m obsessed with curry meals of the Thai, Indian and African cuisine. 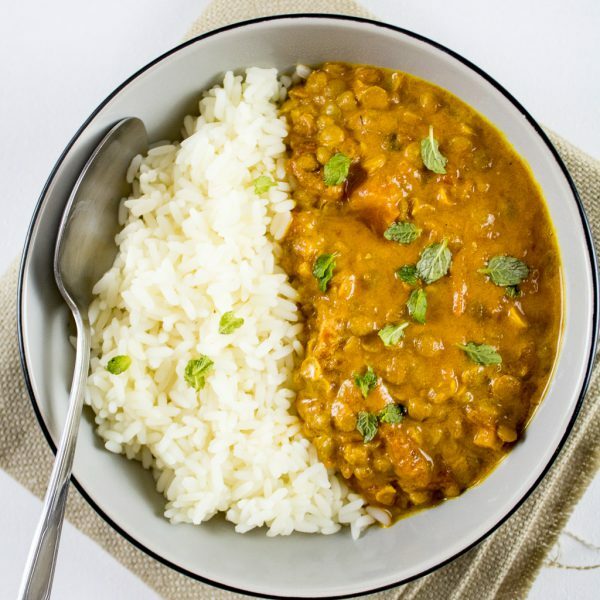 I find them very tasty and super aromatic, this vegan curry with lentil is very easy and delicious and can be added more vegetables by taste. You can add also nuts like cashew for example. This is a basic recipe and I have just started experimenting with it. Share how you made it… Let’s exchange experience! Boil the rice. The proportion rice-water depends on the rice you have chosen... Usually for each 1 teacup of rice you put 3-4 cups of water. In a deep pan heat up the coconut butter and add the garlic and ginger which you have finely chopped. Let the garlic cook for a minute and add the cumin and the coriander for 30-40 seconds. Add the tomatoes, the lentil and 2 teacups of water. Add salt, minced or freshly grated curcuma, reduce the volume of the stove and let it simmer for 25-30 minutes. 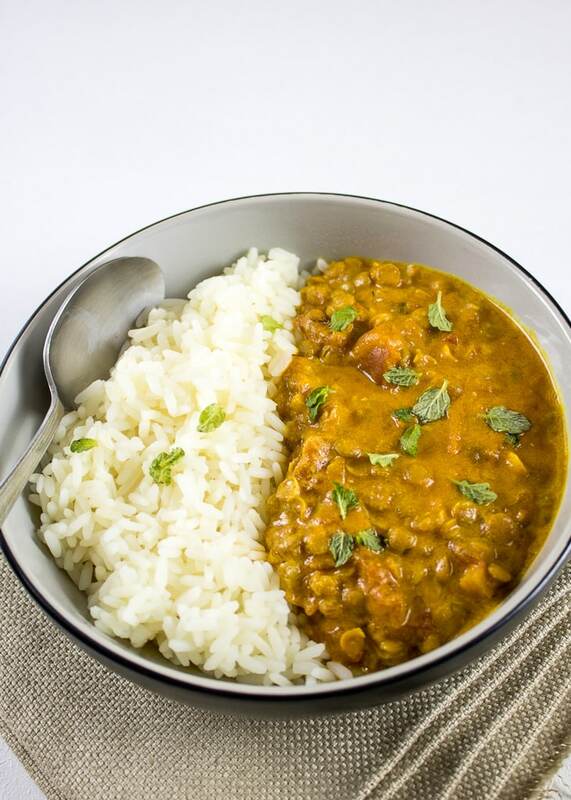 Add the coconut milk when the lentil is soft. Let it cook for another 5 minutes. 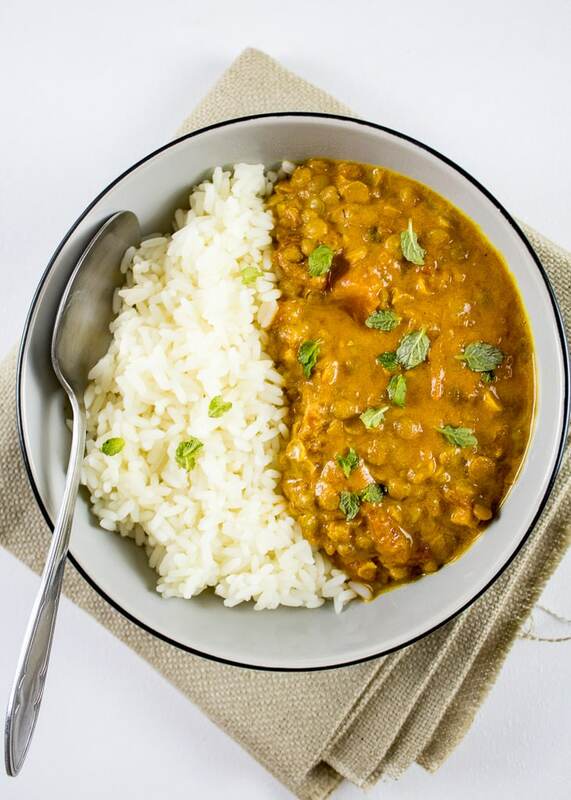 Serve equal amounts of curry and rice, sprinkled with fresh coriander or mint.